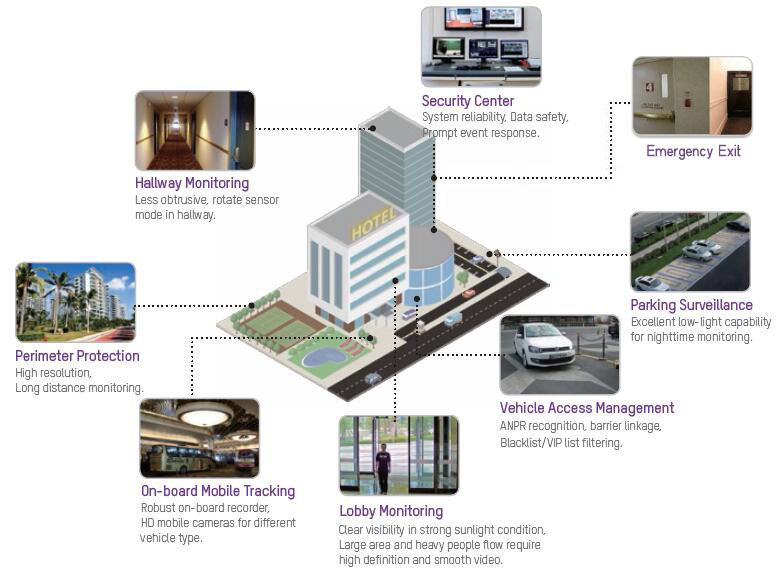 Maxtec Smart Surveillance for Hospitality is a complete IP surveillance system for hotel security. The solution provides around-the-clock protection with industry-leading low-light technology, automated vehicle access control with automatic number plate recognition (ANPR) module, and automatic event alerts with Smart detection. 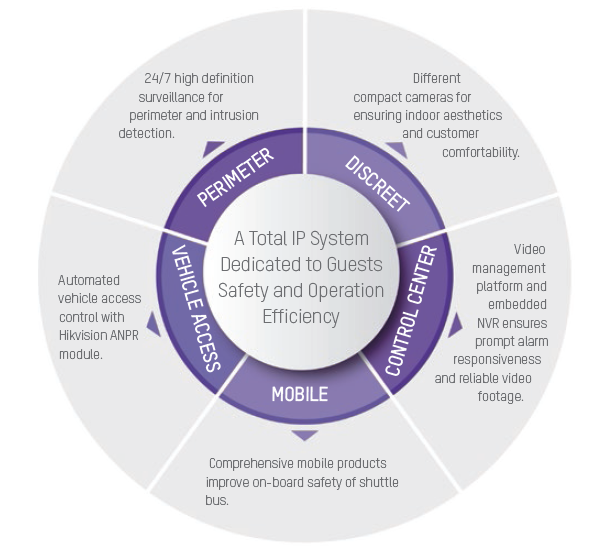 The Smart Solution includes integrated IP products such as IP cameras, NVRs, and video management software — helping to create a reliable, flexible security platform for hotels.